Lexington's Fix-It Shop - Drop By to See How They Can Help! Attention Lexington residents: Did you know we have a Fix-It Shop at the Lexington Senior Center? If you have a broken toaster, iron, cd player, etc., this could be what you are looking for. We have some very talented Lexington seniors ready to help you out. Just drop by on Thursdays from 9AM to 12 Noon. 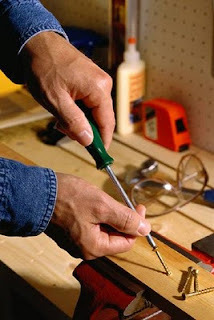 The Fix-It Shop is for repair of small items. Labor is FREE! Donations accepted. You just have to pay for the cost of the repair parts. 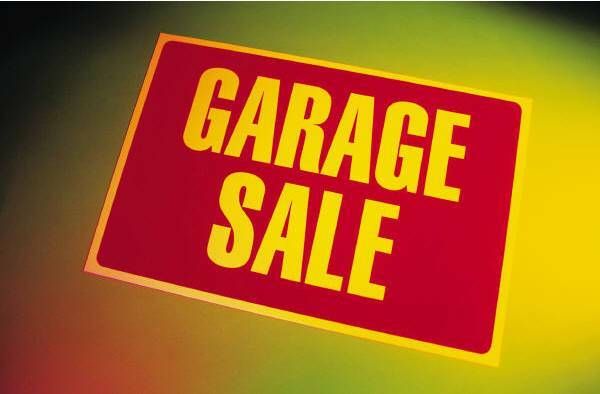 The shop is located at the Senior Center, 1475 Mass Avenue (enter through the rear parking lot). Enjoy Autumn and Art in Lexington This Weekend! There’s no better way to enjoy the beginning of Lexington’s fall season than being outdoors. You may have already noticed a slightly crisper start to each day as you step outside in the morning and breathe in deeply. The leaves are also sensing the change in season and are just starting to embark on their yearly show of stunning changes that draw visitors from all over the country each autumn. Living in Lexington means being in the middle of these brilliant changes and being able to experience all that Lexington has to offer from a local perspective. For the past sixteen years, Lexington has enjoyed kicking off the fall months with an array of art and is looking forward to the 17th Annual Autumn Fine Arts and Crafts Festival this weekend! The Lexington Chamber of Commerce will host this free event this coming Saturday, September 25 from 10am-4pm on the Visitors Center lawn located at 1875 Massachusetts Ave. This festival will highlight over 80 local artisans with their handmade jewelry, woodwork, pottery, photography, and much more! This is a great opportunity to interact with the community, and spend time with family and friends! 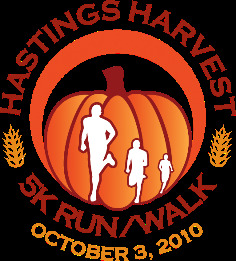 For more information on this event, visit the LexingtonPatch website. If you have lived in Lexington for any amount of time, you know that this town is truly a special place to call home! Perhaps you’re interested in seeing what your home is currently worth in the Lexington Real Estate market or have been wondering about selling your home in order to buy the Lexington home of your dreams. Either way, whether selling or buying a home in Lexington, I would be happy to help you each step of the way! I have years of experience in the Lexington market and know which areas would be the best fit for your needs and lifestyle. I’d love to set up a time to meet with you, so feel free to contact me today! Thinking about moving to a condominium? Here are a few issues that are important to keep in mind. Fees: All associations have some sort of monthly fees. Always ask about their history of previous increases, as well as any upcoming special assessments. Parking: How many cars can you park? Where is the parking? What about guest parking? Are there special parking arrangements for an occassional overnight guest? Pets: Check to see if pets are allowed. If so, are there restrictions? Many condominium associations who do allow pets have size and breed restrictions. Also ask about walking your pet on the property. What about a "visiting" pet? 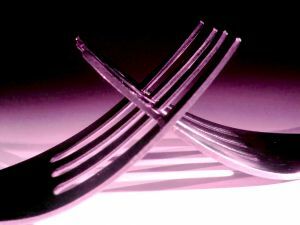 Maintenance: What does the association take care of? Typically, most condo owners rely on workers hired through the association to mantain the exterior of the home including painting, roof repairs, lawn care, snow removal, etc. Be sure to find out the specifics to avoid future headaches and unpleasant surprises. Have questions about one of our local condominium complexes? Just give me a call and I will be happy to talk with you and answer any of your questions. As you can see, Lexington has is much more than just its history. 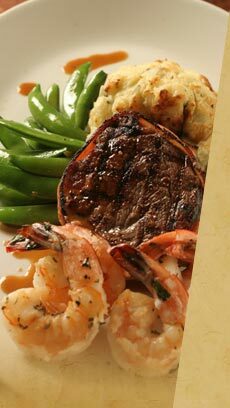 It appears that dining in Lexington has a very tasty future! 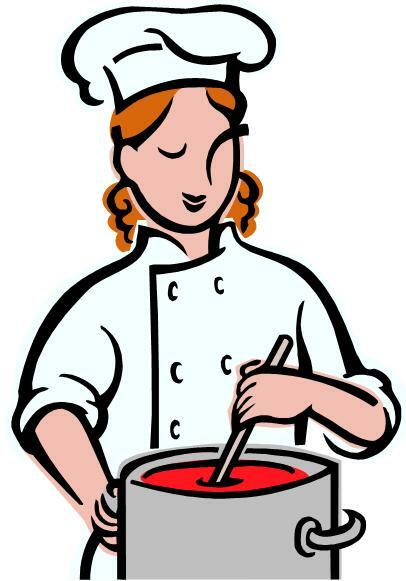 If you have questions about my favorite place to eat, or would like to share which restaurant you enjoy; I’d love to hear from you! Buying a home in Lexington may bring up some questions too, and if you’re not sure where to start – let me know! I enjoy every aspect of Lexington and have a finger on the Lexington Real Estate pulse. Together I am fully assured that we can find the home in Lexington for which you’ve been searching! I hope to hear from you soon! Do you like music and parades? Would you enjoy traveling along the East Coast? NO musical experience is necessary! Membership includes instruction, instruments, uniform, event meals, and the opportunity to participate in some fantastic venues. Thinking about remodeling your kitchen? Here are some of the latest design trends. Counter tops: Stainless steel, antiqued marble, lava stone, concrete, mosaics and flamed granite with a textured, matte finish. Cabinetry: Fewer overhead cabinets. Lift-up or sliding doors, self-closing drawers, glass-fronted cabinets and glass shelving, tracks inside doors for attaching storage accessories, pantires with multiple storage options. Fresh finishes, from smooth, high-gloss and matte lacquer, to textured, horizontal-grain laminates. Free-standing accent pieces and fully-integrated designs that blend with cabinets. Refrigerators: More crisper space and less freezer space. Lighting: Soft incandescent, bright halogen and cool, energy-efficient LED bulbs. If you are thinking about remodeling your kitchen and not quite sure if you are making the right choices, just give me a call. I will be happy help. 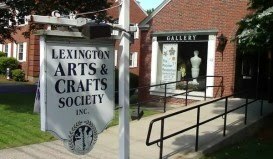 Registration for the Fall Session of Classes and Workshops offered at the Lexington Arts and Crafts Society. Join with our local and nationally known, expert art instructors as they guide everyone from the novice to the advanced. The Society is an approved venue to award Professional Development Points (PDP's) to teachers for Mass. DOE certification. There are many beautiful homes for sale in Lexington MA that offer historical charm and stunning detailing. If you are looking to buy your dream home in Lexington, but are afraid the homes you love are out of reach, read on! Oftentimes home buyers feel that there’s no use in even considering those homes that seem overpriced, but these are just the properties that may be worth a second look. - Fear of Offending the Seller- Buyers may feel that a significantly low offer on a Lexington home would completely offend the seller. The buyer may also feel embarrassed that they attempted such a low offer and may be convinced that the seller would never accept. Since these factors play in to an overpriced home sitting on the market; there’s a good chance the seller may be willing to rethink their price. 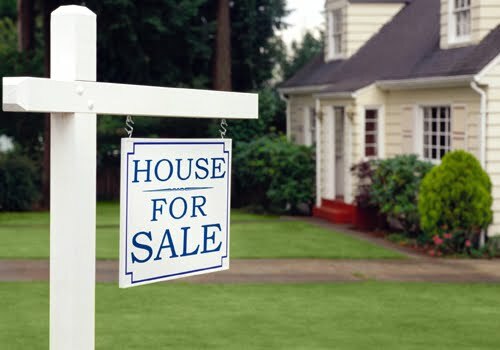 If they haven’t had any offers, they may assume it’s the house itself that people are not interested in and they may not realize how overpriced their home truly is. Or, it could be they have had low-ball offers that have been far too low and simply not worth their time. They may be willing to accept an offer somewhere in between or they may eventually grow weary of trying to sell their home and may be ready to give a little on the price. Whatever the reasoning may be, if you have your eye on your dream home in Lexington that seems to be out of reach; let me know! I would be happy to give you information on how long it’s been on the market, comparables and other useful information that we can look over together. Seeing what the options are and even taking time to visit the home may be the jump start needed towards buying that gorgeous Lexington home! Feel free to contact me today with any questions you may have about the Lexington Real Estate market or to get started in finding the home of your dreams! You’ll be glad you took that second look! Thinking of selling your Lexington home? If you want to increase your value here are some small projects that can result in a big value. Clean up your yard by planting flowers to give added curb appeal. If your carpet is worn, replace it. If you have hardwood floors beneath the carpet, remove the carpet and have them refinished. Repaint your interior walls in a neutral color to make your rooms appear brighter. Make sure that your kitchen, bathroom and garage are protected by GFI breakers, if they are not, install GFI outlets. Use floor lamps for light instead of overhead lights. This is probably the most important tip: Make sure your home smells clean and is sparkling. Unkept homes are much less likely to sell. Want to Go The Extra Mile ? Add a few architectural details to your home such as moldings and wainscoting. Refinish or paint the kitchen cabinets. Install a new counter top. Update the front and back doors to energy efficient doors. 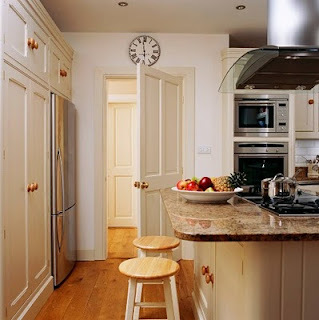 Replace any interior doors that are worn or outdated. Adding a deck is a great way to add value to your home. Want more tips? Just send me an email and I will be happy to give you more useful suggestions. Lexington Symphony New Season's Begins! Lexington Symphony 2010-2011 Season Begins on September 25th at 8PM with Beethoven's iconic Fifth Symphony, Prokofiev's Sinofonietta and Haydn's Symphony No. 104 "London". Subsequent events take place on November 20, December 3, February 5, April 2 and June 11. The Lexington Pops Chorus 2001-2011 Season open rehearsals are beginning. When: Tuesdays, September 7, 14, and 21. No auditions! All voices are welcome. Lexington MA High School Ranks #3 in the State! Congratulations to Lexington High School!! Lexington High School has been named the third best school in Massachusetts by Boston Magazine’s September issue, according to a press release. 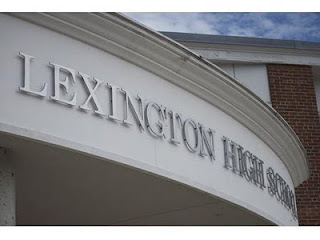 Among the schools Lexington beat out in the top ten, in decesnding rank order, are Wellesley Senior High, Concord-Carlisle High , Bedford High, Brookline High, Wayland High, Newton North High and Newton South High. 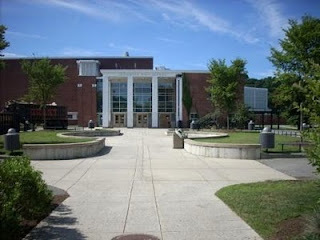 Weston High School was ranked number one, while Dover-Sherborn High School was ranked second. Lexinton High has an enrollment of 1,955 students with a 12.4:1 student-teacher ratio, according to Boston Magazine. The average MCAS scores at Lexington are 97/96/94 for English, math and science, respectively. Average SAT scores come in at 614/618/631 for reading, writing and math. The school spends $15,368 per pupil, according to the magazine. Factors included data from the Massachusetts Department of Educaton, MCAS and SAT scores, per puil spending, student-teacher ratios, graduation rate, percentage continuing education and extracurricular activities. Great News for Lexington MA Public Schools! Acccording to a story by Michael Phillis/Staff Writer for GateHouse News Service (Lexington Minuteman Newspaper): Lexington Public Schools has received more than $500,000 as part of $204 million in federal funds allocated to Massachusetts to support education. The funding is a result of Public Law No. 111-226, the Education Jobs Fund, which President Obama signed on Aug. 10. Much of the funding was a surprise to Lexington as well. After Gov. Deval Patrick announced the funding on Aug. 24, the school district learned it would receive $548,918 through the Education Jobs Fund, and an additional State Fiscal Stabilization Fund (SFSF) allotment of $37,654. In total, the district will receive $586,572. According to the Massachusetts Department of Elementary and Secondary Education (DESE), the primary purpose of the Education Jobs program is to allow local school districts to retain existing employees, to recall or re-hire former employees, and to hire new employees for the 2010-11 school year. The Obama Administration has said the $10 billion bill could save 160,000 jobs in education this year. Republicans have chastised the bill as a handout to teachers’ unions and ultimately aimed to benefit the election chances of Democrats in the fall. DESE hopes to have all allocations completed by November of this year. According DESE, Chapter 70 funding for Massachusetts schools will rise from $4.043 billion in fiscal 2010 to $4.072 billion in fiscal 2011. Lexington’s Chapter 70 funding increased by $151,400, which represents a per pupil rise of $25, the minimum allowed by the law. Prior to the singing of the Education Jobs Fund, Chapter 70 funding had decreased by $430,000 in the last two years. There is some concern in the district about funding levels for fiscal 2012, when much of the federal stimulus money from the American Recovery and Reinvestment Act will be exhausted. “We are all concerned about what this will mean,” said Dunn.